To benefit fully from the abilities of modern multibeam echosounders and to ensure accuracy standards are maintained and improved, total data confidence must extend across the full cross-track swath width and throughout vessel manoeuvres. 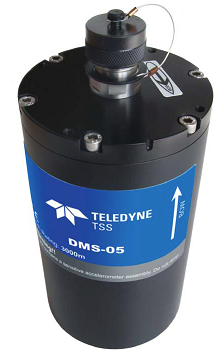 The DMS-05 is designed specifically for the emerging needs of multibeam users allowing highly productive surveys aboard small boats, in rough sea conditions undertaking tight turns and rapid speed changes. Using an emerging generation of processing techniques optimised for the high dynamic marine environment the Sensor provides the ability to combine GPS data with new low-cost inertial sensors, to achieve 0.05° optimal accuracy at an affordable price. The Sensor can interface to an optional GPS unit or external GPS/DGPS or a speed log if already available. The auxiliary input also accepts Heading Gyrocompass data.